28th December 2016 – 5th January 2017 Hervey Bay Sailing Club, Hervey Bay – Queensland. The organising authority is the Hervey Bay Sailing Club, in conjunction with the Queensland Hobie Cat Association. 1.1 Thee regatta will be governed by the current Racing Rules of Sailing. 1.2 No national prescriptions will apply. 1.3 The Class Rules of the International Hobie Class Association (IHCA) will apply. a) Competitors shall wear personal flotation devices whilst afloat, except briefly while changing or adjusting clothing or personal equipment. Wet suits and dry suits are not personal flotation devices. Changes RRS Rule 40. 2.1 Advertising will be as defined by ISAF Regulation 20. 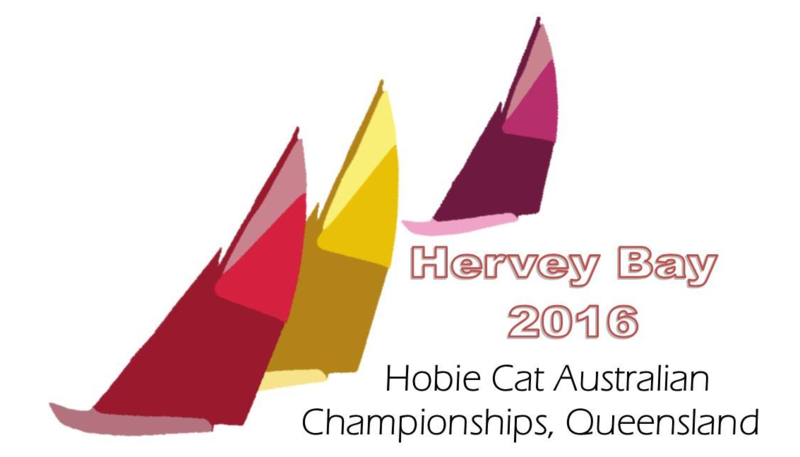 3.1 The regatta is open to boats of the International Hobie Class Association classes. 3.4 A minimum of 5 entries is required to form a class. If sufficient entries for a class are not received by 5th December 2015, the Organising Authority reserves the right to cancel racing for that class. If there are less than 5 entries received as a class then classes may be amalgamated and a yardstick results used. Registration fees include T Shirt and tickets to presentation dinner. Measurement is not required, but it is the responsibility of each skipper to ensure their boat complies with the IHCA Class Rules. Random measurement and inspection checks may be carried out at any time during the championships. The sailing instructions will be available to competitors on the event website one week before the commencement of the event. Attachment A shows the venue and location of the racing area. The course(s) to be sailed will be as described in the Sailing Instructions. 11.1 One race is required to be completed to constitute a series. 11.2 (a) When fewer than 4 races have been completed, a boat’s series score will be the total of her race scores. total of her race scores excluding her worst score. (c) When 12 or more races have been completed, a boat’s series score will be the total of her race scores excluding her two worst scores. Team Managers, Coaches and other support personnel shall keep 100m clear of the course area after the warning signal, except in boats provided by the organising authority or when asked to assist by the Race Committee. Boats and trailers shall be kept in the areas assigned by HBSC while off the water. Except in an emergency, a boat shall neither make radio transmissions while racing nor receive radio communications not available to all boats. This restriction also applies to mobile telephones. Additional prizes may be awarded at the discretion of the Organising Committee. In participating in an event, a competitor automatically grants the Organising Authority and the sponsors of the event, the right in perpetuity, to make, use and show, from time to time and at their discretion, any motion pictures, still pictures and live, taped or film television and other reproductions of him/her during the period of the competition for the said event in which the competitor participates and in all material related to the said event without compensation. (g) These terms do not operate to exclude any provision of the Australian Consumer Law that applies and cannot be excluded by agreement. 19.1 Each participating boat shall present a valid insurance certificate showing proof of third‐party liability coverage of at least AUD $5,000,000 (recommended $10,000,000) (or equivalent) per incident. 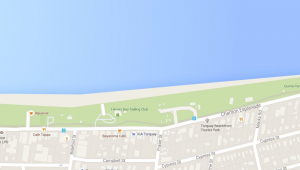 Camping, hotel and holiday rental accommodation is available within walking distance to the venue. 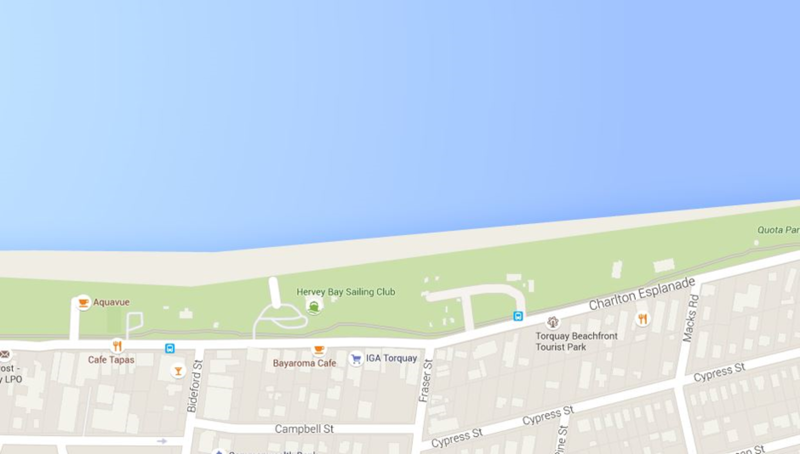 Hervey Bay is one of the most popular holiday destinations in QLD, and competitors are advised to book accommodation as a matter of urgency. 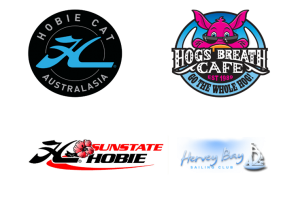 The Annual General Meeting of the Australian National Hobie Cat Association will be held during the course of the event at a time and location TBA. If wind, wave, or water conditions make you doubtful of your ability to handle the conditions, retire from the race. ELECTRICAL POWER LINES – AVOID!!! Before raising the mast, and always while sailing, check for and avoid low overhead electrical power lines. If you see a power line, AVOID IT! A MAST COMING IN CONTACT OR EVEN NEAR AN ELECTRICAL POWER LINE CAN CAUSE SERIOUS INJURY OR DEATH TO PEOPLE ON OR TOUCHING THE BOAT!